Seven is the thinnest hard drive ever produced. The intended user is a technology purchaser who wants a very mobile, transportable hard drive to store their data, but who also appreciates design. 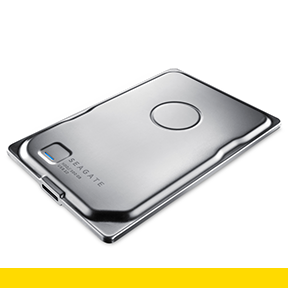 Seven is the inaugural launch product of a new Seagate portfolio dedicated to highlighting the latest storage technology combined with intelligent design.